The Oxford-Ohoka Community Board had their monthly meeting on Wednesday 3 April. The month of March has presented the Oxford-Ohoka Community Board with a number of occasions to attend community events and meetings, all of which have proven to be valuable opportunities for Board members to interact and engage with locals. Board members joined Council staff at the recent Oxford Show on March 30. 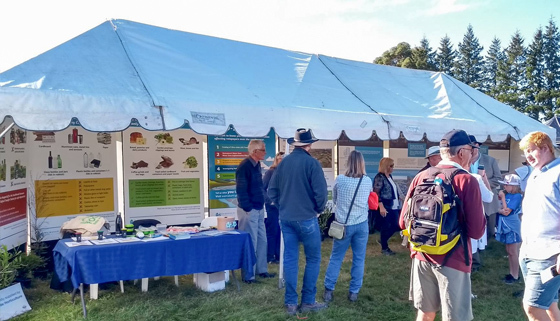 The community were eager to learn about current consultations, such as the Draft Annual Plan, and showed particular interest in the Draft Rural Residential Development Strategy. Drop in sessions for the Draft Rural Residential Development Strategy also took place in both Oxford and Ohoka during March. Mr Nicholl added that there was a good turnout from local residents, with some valuable thoughts and feedback shared on the Draft Strategy. With ANZAC Day fast approaching, a report was also considered for a number of members to attend local services and lay wreaths on behalf of the Oxford-Ohoka Community Board. Representatives were approved to attend the Ohoka ANZAC Day service on Wednesday 24 April, the Oxford service on Thursday 25 April, and the Cust and West Eyreton service on Thursday 25 April. The Community Board will meet again next month on Thursday 9 May, 7 pm at the Oxford Town Hall.